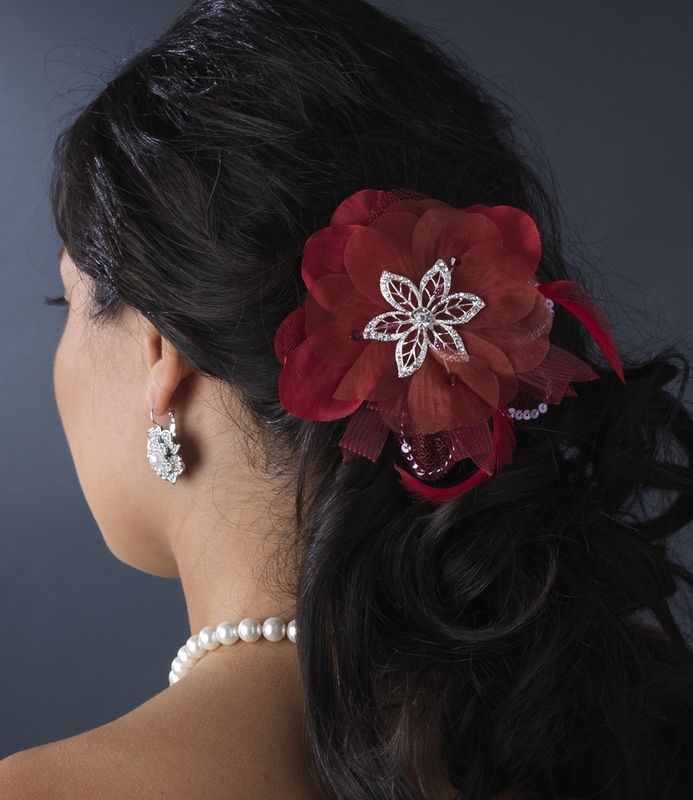 This versatile red feather fascinator can be worn in the hair as well as on a dress, fastening at the back with the option of a hair clip or pin. Perfect for the bride or bridesmaid. The piece measures 5-1/2" wide and 5-1/2" tall.